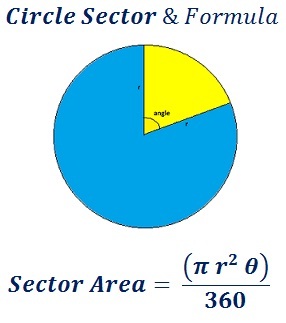 A is the Area of the circular sector. ANGLE is the central angle in radius. calculate the Area of the Circular Sector whose radius is 5 & angle is 300. When it comes to online calculation this Circle Sector Area Calculator is an essential tool to make the calculation easy.